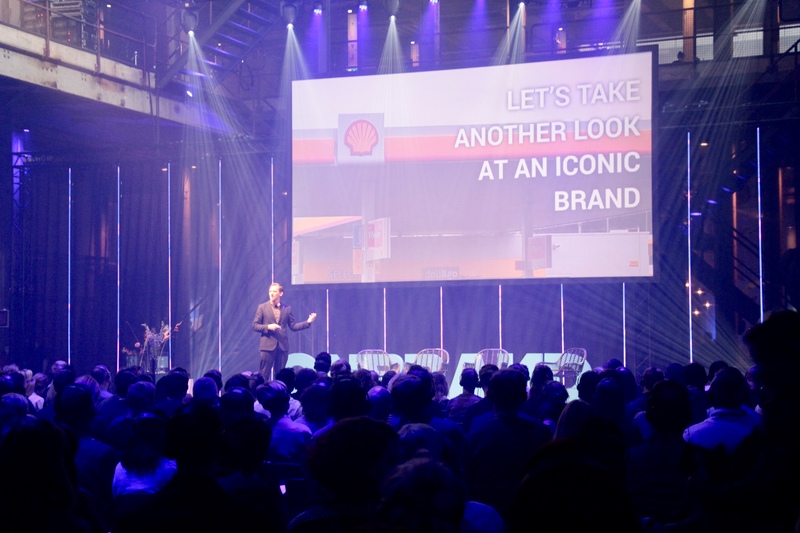 Stefan Fountain, CEO of pr.co, took to the stage at the OnBrand 18 Conference to explain how marketeers will be the agents of change in the age of authenticity. Below are the main takeaways from Stefan's talk. In a world of wifi on planes and jumping robots, technology is changing at an eye-watering pace. Sometimes new ideas work, sometimes they fall flat. Consumers have lost trust in companies after a period rife with spin doctoring and miscommunication. This, combined with recent social phenomena such as #metoo and various whistleblowing scandals, has prompted a greater trend towards a more human, truthful system. One of the main manifestations of this is purpose. Companies with a strong purpose are connecting with their audience. Patagonia, for example, have donated 1% of their profits to environmental causes, going so far as to buy up natural land to preserve it. This is in alignment with their enduring brand purpose, to use business to inspire and implement solutions to the environmental crisis. The Purpose Economy is flourishing. Companies have switched from serving profit, to profit serving companies to reach their vision. This has given rise to major shifts in the way companies operate, and change in this social climate, is inevitable. In the words of Bill Clinton ‘The price of doing the same old thing is higher than the price of change’. Marketeers are the bringers of change, the agents that will shape authentic culture. They are the members of a company that are closest to the customer, who are the most important part of any organisation. Moreover they have both the skills, and the influence to make it happen. As Dan Pink describes in his book Drive, human beings are intrinsically motivated not by punishment, reward and money: but by autonomy, mastery, and purpose. This leads to better performance and personal satisfaction, and has spurred the movement towards purpose-driven work. As a marketeer you can identify a company’s purpose through your audience, and align internal and external communications to match it. The potential impact of this is huge. As time has progressed, technology has naturally filled societal gaps and driven change. The knowledge gap was traversed by the printing press, then the power gap by steam power, the distance gap by the internet, and now the purpose gap by corporations. We stand on the back of the technology before us so that we can bridge this gap. The same technologies that disconnected us from others and the planet are also enabling us to make our lives rich in purpose again. Social media creates filter bubbles but also connects us, iPhones can prevent us from looking up to see the sunset but are also a window to our loved ones. A dissatisfaction with this disconnection has lead to a concerted drive towards purpose, and therefore a focus on the aspects of technology that connect us. Brands with clear purpose are thriving. Tony’s Chocolonely, Etsy, Nike and Honor: all these brands have a clear brand purpose and were able to win the trust of their audience. A company like Shell, who's shareholders have ignored recommendations to pursue sustainability, will not last long in this climate. Indeed, it's profits have plummeted, and it remains one of the most disliked brands in the world. As the culture of selling transforms into the culture of contributing, it is not enough to say with feeling, companies must also do with feeling. 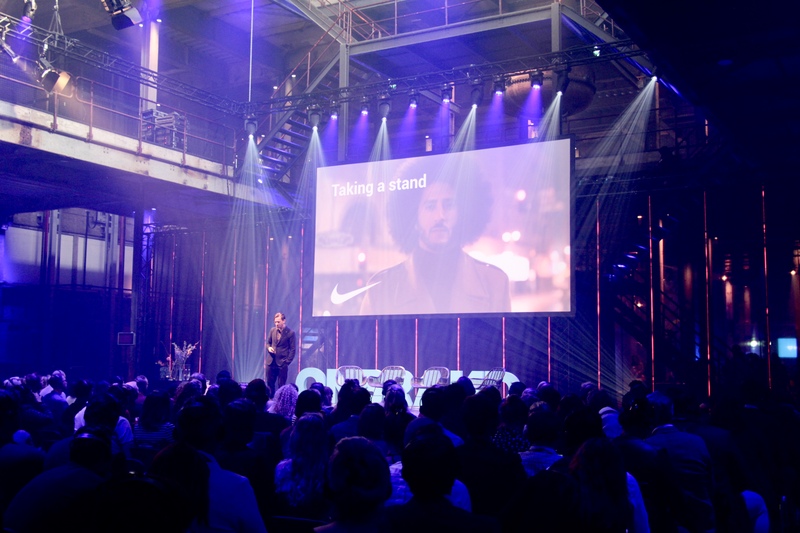 Brands bold enough to do this will reap the benefits with their audience, but also can become the leaders to drive the inevitable movement towards purpose-driven authenticity. There are many ways to be vulnerable, and one is taking a stand. Yes, brands can lose money in the short term, but in the long term they stand to gain. Authenticity can be seen in the championing of political and social issues that fit in with brand vision. Nike is an example of this with their recent decision to make Colin Kaepernick, former N.F.L. quarterback and black lives matter advocate, the face of their latest campaign. 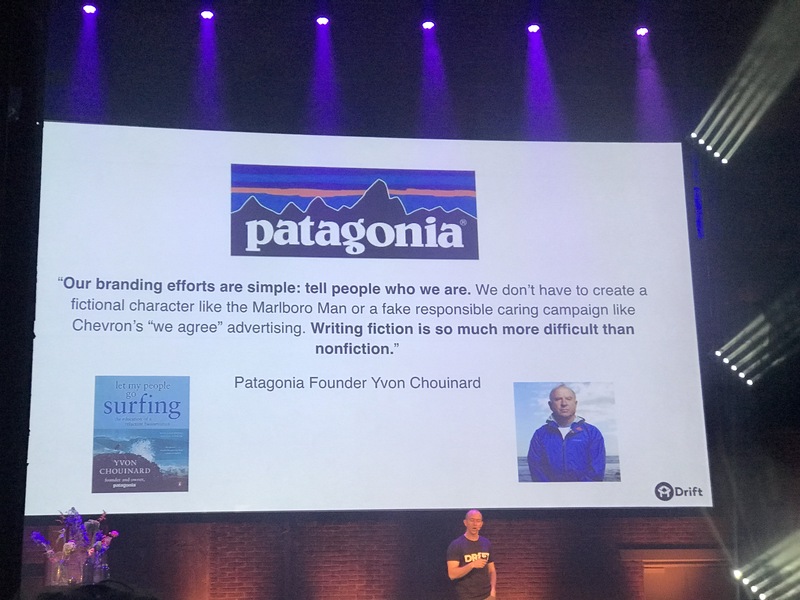 This struck a chord with the new breed of consciously motivated consumers (outselling stock in every store as a result) and also fit in very well with their brand purpose, which focuses on individual human endurance. Conversely, brands who take a stance on a political issue that does not align with their brand identity can look contrived. Just ask Pepsi. As Frances Frei explains in her brilliant TED talk on how to build it rebuild trust, lost trust can be regained through logical rigour (the strength of well communicated ideas), empathy, and authenticity. Brands like WeTransfer, who have donated 30% of their ad space to showcase artists have demonstrated not only empathy for their target audience but have also stayed true to their identity as a platform for creatives. As trust has shifted from companies to peers, so too have we seen a shift the basic structure of companies. Organisations of yore- which once focused on themselves rather than their audience- were structured around ego, complexity, and rigidity. Nowadays, as customers have become the central component of an organisation’s composition, they are more focused on humility, simplicity, and agility. As Nancy Duarte explains in Illuminate, in order to regain the trust we once had, communicators must re-frame to stop positioning themselves as a hero, but instead as a mentor. With your audience framed as the hero they are immediately engaged. This way you can guide them through a hero’s journey and tell a story to give words to their experience, rather than that of the brands. An example of this is Albert Heijn who, sensing the need for greater brand transparency, launched the sugar pledge. They committed to reducing sugar in their products by up to 40%, and implemented a ranking system on product labels, so that consumers could make an informed decision on products. This lead to a greater uptake of their product and cemented their reputation as a trustworthy brand. Gone are the days of slapping P. Diddy on a label to sell Vodka. Consumers demand a more authentic story. This is how Maarten van der Weijden, former olympic swimmer who beat cancer, managed to raise €5 million for 12 cancer charities. The survivors guilt, the visual storytelling, the physical assault of the swim (just look at his feet), the family bond: all this weaved into a powerful tale of human endurance. In the words of Nancy Duarte ‘storytelling has become central in almost every endeavour’. With your purpose and a series of missions in hand, you as a brand can beat a clear path towards your Big Hairy Audacious Goal (aka. 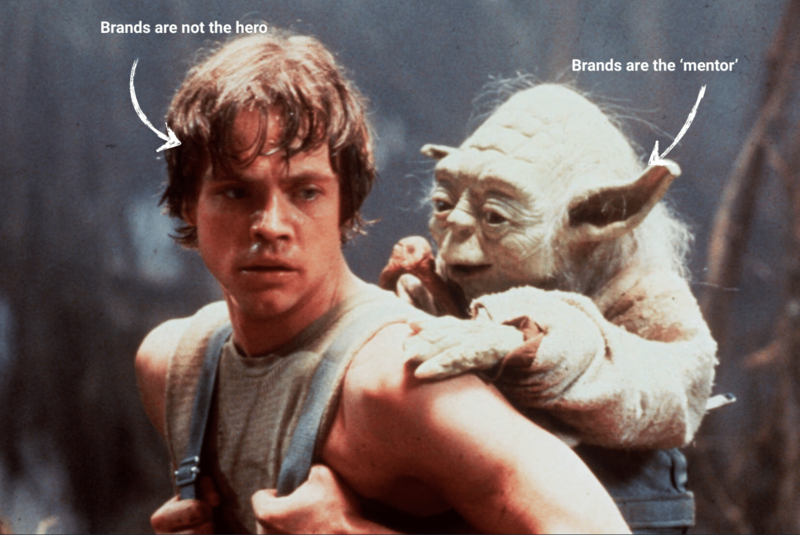 your brand vision). An example of this is Tesla, who communicated from the offset that their vision was to create reasonably priced electric vehicles. They achieved this by first developing a series of pioneering, expensive cars, to fund these everyday vehicles they saw in their brand vision. Thus a series of cars (or missions) were launched: the Mule, Roadster, Model S, until eventually they were able to reach their brand vision with the Model X. Every piece of footage from this talk will give you goosebumps. 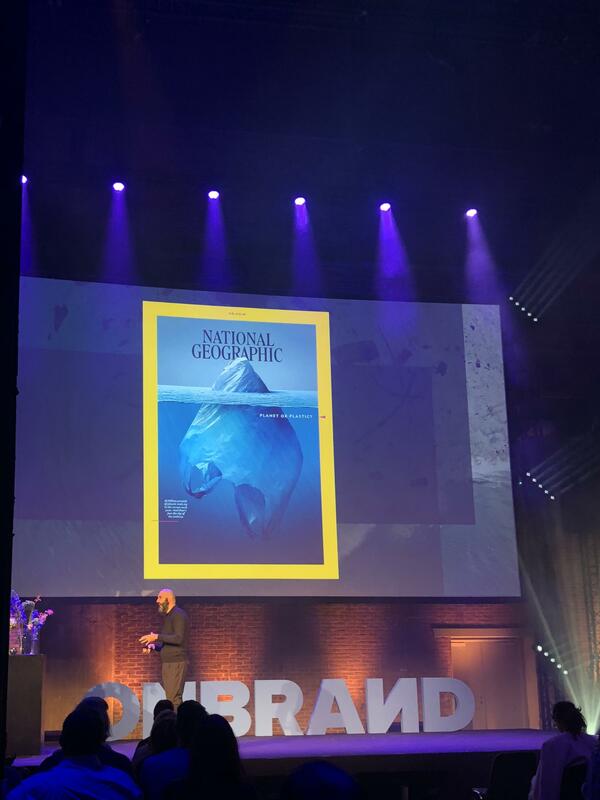 A key insight was that National Geographic's logo is not a border but a window into the world, and every brand should find it's own window into the story they want people to see. A great example of a company that continues to be value driven in how it creates impact, by telling the story of local heroes that are already making a difference. What we can learn from filmmakers (specifically with the Kuleshov effect) is the power of editing. A brand narrative is built up over time and previous interactions will colour the next interaction, whether positively or negatively. Creating "narration moments" that positively impact your story is critical to brand building. Drift's Dave Gerhardt Drift has created a culture where everybody participates in outward communication - where the COO is the one explaining their pricing on their pricing page and the whole team markets a new product launch.